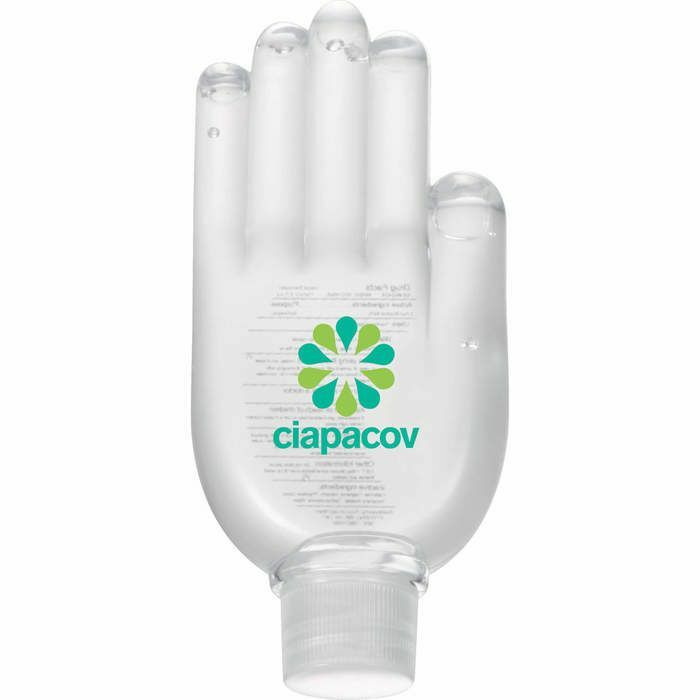 Alcohol-based hand sanitizer in hand-shaped bottle. Twist-off cap. Available for shipment in contiguous US only (shipping to Alaska, Hawaii & Puerto Rico NOT available).